When I practiced oncology, I relished time spent talking with patients and their loved ones about tough decisions – when an indolent condition accelerated and it seemed time to start treatment, or when a cancer stopped responding to therapy and it seemed right to shift gears and, perhaps, emphasize palliation instead of more chemo, and at every value-loaded decision checkpoint in between. These conversations weren’t easy; speaking of levels of care, palliation and end-of-life wishes are discussions that many doctors, even oncologists, still avoid. But I, in what I hope was a healthy way, always enjoyed that part of my work. My thinking was that even if I couldn’t change the course of an aggressive tumor, I might make a difference in the quality of a person’s end of life. At Thanksgiving, when family and old friends come together, we face similar choices in the topics we discuss: we can chat about the weather, or delve into relatively heated topics like global warming, politics or religion, but it’s rare that we get into the existential stuff, where my thoughts tend to wander, or into the most-avoided topics of all: what to do when our loved ones get really sick. 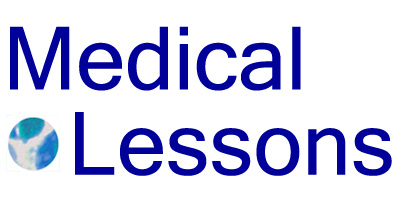 This weekend, Medical Lessons is participating in its first blog rally. I learned about this last year from Paul Levy, who’s Running a Hospital in Boston, and was reminded earlier today in an email from Dr. Christian Sinclair of Pallimed. The purpose of the rally is to draw attention to the Engage With Grace project, which is, ultimately, about communication in non-trivial health decisions. 73% of Americans would prefer to die at home, but anywhere between 20-50% of Americans die in hospital settings. More than 80% of Californians say their loved ones “know exactly” or have a “good idea” of what their wishes would be if they were in a persistent coma, but only 50% say they’ve talked to them about their preferences. Eight out of ten people say it is “very” or “somewhat” important to write down EOL wishes, but only 36% actually have written instructions. The project goal is to get the conversation started – to get families talking about values and medical decisions when they’re together over the Thanksgiving holiday, instead of waiting until there’s an emergency and they’re forced to make critical decisions under pressure and without clear directive. There’s never a good time, or enough time, to talk about these kinds of things. But these matter a lot, especially if you or someone you love becomes really sick, which happens sooner or later to most mortals. PBS aired a special on this topic last night, on the kinds of tough decisions families face when someone is acutely ill, which is available on-line and I suggest to my readers. And maybe on Friday, or Saturday, some of you will begin that difficult conversation.